For all the advanced features found in today’s smartphones, an unsatisfactory battery life is still an issue for many consumers. 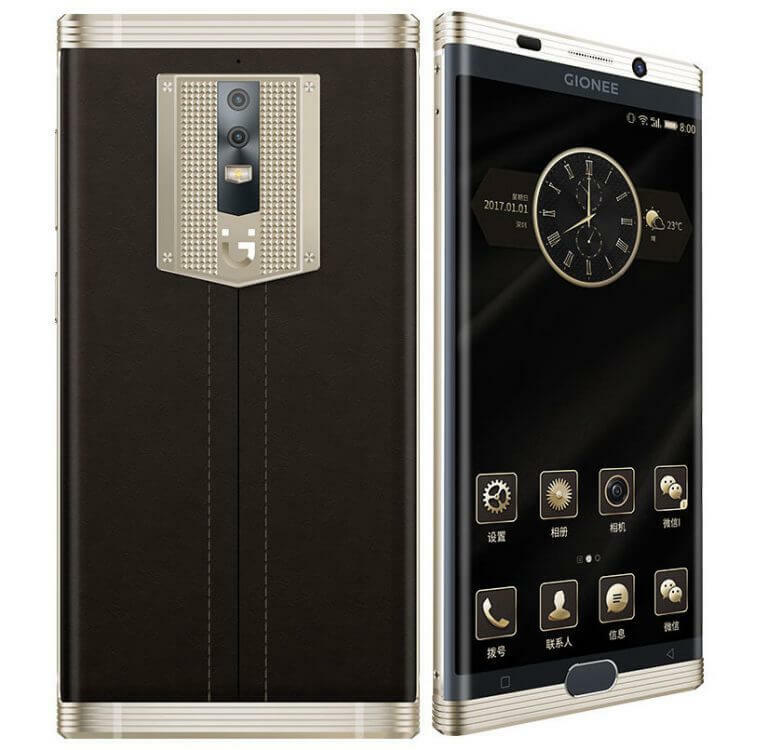 Chinese smartphone manufacturer Gionee has obviously made a note of this; last year it announced the Elife E8, which comes with a 6,020mAh battery, and now it’s about to launch the M2017 - a luxury handset that sports a massive 7,000mAh battery. The handset was certified by China’s version of the FCC – TENAA – back in November. It features a leather body and metal back, along with a curved 5.7-inch QHD (2560 x 1440) display and 6GB of RAM. There’s also dual rear 12MP and 13MP cameras with 2x optical zoom and 8x digital zoom, an 8MP front snapper, dual-SIM support, 128GB and 256GB storage options, an encrypted call service available to anyone who uses China Telecom, and a front-facing fingerprint reader with support for WeChat and Alipay. All-in-all, the M2017 has some flagship-matching specs, but for some reason Gionee didn’t feel the need to include a top of the line processor. The phone uses a mid-range Snapdragon 653, rather than something like the Snapdragon 821 found in Google’s Pixel smartphones. It's also missing a microSD card slot, and has taken a note out of Apple’s playbook by lacking a 3.5mm headphone jack. But it’s the incredible 7,000mAh battery (made up of two 3,500 mAh batteries) that is the M2017’s main selling point. Being more than double the size of most high-end smartphones, it’s good for nearly 32 hours of talk time and 26 hours of non-stop video, according to Gionee. Essentially, the handset will give several days of moderate use before needing a recharge. The M2017 is available for pre-order now, launching in China on January 6. Sadly, there doesn’t seem to be any international release on the cards. As it's classed as a luxury smartphone, prices start at around $1,007 for the 128GB model, rising to an eye-watering $2,446 for the 256GB version.